It can be overwhelming to approach a revision. How do you take something as large and complex as a novel and break it down into component parts that are possible to analyze and work with? My years in the theatre have made me very confident about re-writing. Every play or musical I’ve ever written has gone through dozens of drafts. But you can’t tackle everything all at once when you’re re-writing or you’ll become lost and muddled. This is why I break it down before I begin to build it back up again. I write in layers and I also revise in layers. This essay will deal with what I do first, which is focus on plot. I’m planning a series of subsequent craft essays, which will focus on revision as seen through the lens of character, setting, voice/ dialogue, and compression. But for now, let’s look at the big picture. If the plot isn’t clear, dynamic, surprising and satisfying, then all the beautiful writing in the world will not save your book. I begin with an incredibly simple technique that allows me to analyze my novel, scene by scene, or chapter by chapter, create a visual map of the book, and begin the process of crafting the dramatic arc of my story. When I’ve finished a first draft I step away from the desk for a while, maybe even a week or two. I take long walks, swim, putter around in the garden, read great books; I do the things I love to do that look like wasting time. My intention is to shift my mind into another gear for a while before I approach my book again. I also want to become a bit detached from the love affair or wrestling match I’ve been engaging in with these pages for a year or more. A little bit of distance really helps. Before I begin I make a second copy of the book. Now I know that I’ve got that version, safe and sound, stowed on my desktop. Which means that I’m free to really dig in to that first re-write, knowing that I can always return to the “original.” This is key to making me feel safe enough to begin revising and, where necessary, re-imagining my book. Where does the scene/ chapter take place? Who’s in the scene? What happens/ what is the event of the scene? Keep it short and sweet. Shorthand is best here. Can’t quite synopsize what happens? This may be a red flag telling you that not much is happening. Make a note of that. Setting: A catering kitchen, after a wedding reception. Event: A fight that’s been brewing over the lost wedding bands ends with Greg’s admission that he’s been in love with Steve’s bride for years. What, exactly, do I mean by “event?” An event is what happens: a birth, a holiday, a betrayal, falling in love, lunch, an illness, buying a car, a funeral, getting fired, a murder, a marriage proposal, robbing a bank. From the most mundane to the most profound, events are what drive a plot forward. How your characters respond to, struggle with, or attempt to control the events in their lives will define and illuminate them. We use events as building blocks to create a story. Sit down and read through the cards. Here’s your chance to become familiar with the bare bones outline of your book. And here’s where structural problems will begin to appear. You may notice repetitive settings, several scenes that are similar in tone, scenes or chapters that cover the same ground. You may find that you have some events, but not very many, or that the events you have do not have any causal relationship to each other. We’re looking for cause and effect for maximum dramatic impact. You may realize that your plot unfolds too easily – where are the obstacles? Where do your characters struggle to get what they want? You may notice that you have more than one ending, or that the emotional ending occurs several chapters before the book ends. Lay your cards out on a table, if you have one that’s big enough, or the floor, or pin them up on a wall. If you can borrow a friend’s conference room, or find a space with several long tables so that you can lay out the whole book and be able to walk around it, that would be ideal. Right now you have a simple visual map of your book, all in one place. Focusing on the events of each scene or chapter allows you to focus on the plot. You are not distracted by that gorgeous prose you’ve written; you’ve only got the bare bones to look at. This can feel a bit brutal; but it’s a chance to look at the skeleton of the book, to see if the structure you’ve created supports your storytelling as well as it possibly can. Does every scene/ chapter have an event? Is it a strong event? Interesting? Surprising? Do the events link up to each other? What event caused each scene to happen? What event does each scene cause to happen next? How do the events impact the characters? Change them? Hurt them? Knock them down? Redeem them? Are the events in the best order for maximum impact? Does the book move forward with energy and urgency to its inevitable conclusion? If you think of your plot as a series of events, then your job is to arrange that series of events in the most interesting way possible. Cut the repetitive scenes. Is there key information that needs to be rescued from the scenes you’re cutting and inserted elsewhere to better effect? Put that information on another card and tape it to its new scene. See where you can compress 2 or 3 scenes into one. Compression is key to heightening the drama and giving your story a sense of urgency. Re-read for flow and impact. Keep asking the question: Where’s the drama? What else can you cut? Are there scenes that are lovely but that you can see now are actually filler? What can you leave out? Be bold here: readers are smart; they love to make leaps with you. Walk away for a day or so and think about the building blocks of your plot. Have they been organized in the best way possible to tell this story, to fulfill the promise of this book? If not, play with them, experiment; move those cards around. You can always move them back. Make the changes you’ve decided on in your MS.
Re-read. Take notes on what’s working, what’s not, and whatever new ideas emerge. Congratulations: You’re ready to move on to the next layer of revising. Laura Harrington, award winning playwright, lyricist and librettist, winner of the 2008 Kleban Award for “most promising librettist in American Musical Theatre,” has written dozens of plays, musicals, operas and radio plays which have been produced in 28 states, Canada and Europe, in venues ranging from Off-Broadway to Houston Grand Opera to the Paris Cinemateque. Harrington has twice won both the Massachusetts Cultural Council Award in playwriting and the Clauder Competition for best new play in New England. Additional awards include a Boston IRNE Award for Best New Play, a Bunting Institute Fellowship at Harvard/ Radcliffe, a Whiting Foundation Grant-in-Aid, the Joseph Kesselring Award for Drama, a New England Emmy, and a Quebec Cinemateque Award. Laura teaches playwriting at MIT where she was awarded the 2009 Levitan Prize for Excellence in Teaching. She has also been a frequent guest artist at Tufts, Harvard, Wellesley, Skidmore, and the University of Iowa. 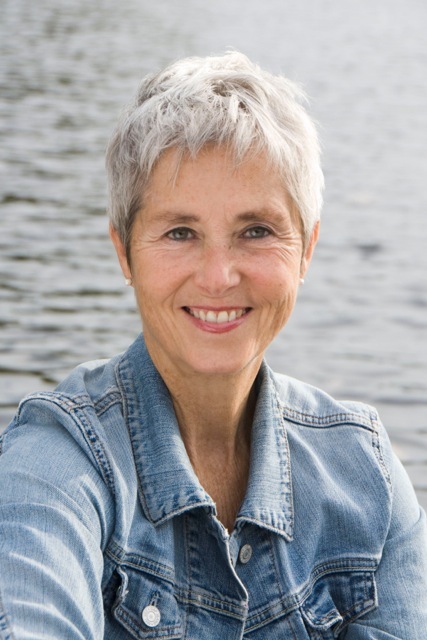 Alice Bliss, her first novel, published by Pamela Dorman Books at Viking/ Penguin has been widely acclaimed in print and online reviews and has been chosen by Barnes & Noble for their “Discover Great New Writers” program for Fall 2011. Foreign rights for Alice Bliss have been sold in the UK, Italy and Denmark. This looks like a great way to sort through a first draft. And I’m in the process of doing that right now, so I will definitely try out your method. Thanks for the suggestions! Let me know how this works for you. I hope it’s useful. This is so helpful. I’m almost ready to revise – going to get those cards ready! I know exactly what you mean, Kimberly. I have to find some way to find a little bit of order in the chaos; and breaking things down into manageable bits really helps. What a helpful post! I essentially do all of this type of summary on a giant white board, but I can see how having the individual cards to shuffle and move/tape to one another would be a wonderful tool. Must try this! And must read Alice Bliss; have heard wonderful things about it through the social media/Twittersphere and Goodreads! Thanks, Amy Sue, for another great post. Can’t wait to see the other lessons in Laura’s series. Aren’t we all office supply fans at heart? A white board — or several of them — once saved a new musical of mine from the dustbin. So I love the idea of using a white board as well. But you’re right, those little cards are so useful — so easy to mess around with — even easy to take along with you if you’re going to the library for a new place to think things through. And for some reason, they’re also very non-threatening, which, for me, helps to keep the fear out of the process. Thanks so much for your comments about Alice Bliss — great to get the feedback that you’ve heard about my book via social media. We work so hard to make that happen, but don’t ever really know. I see to be more of a “pants-er” and less of a plotter. But I want to be moreso a plotter. Thank you for so many great tips on how to organize my revisions. I totally feel my way through the first draft and then really engage the other side of my brain for revising. For me it’s like a puzzle and I have fun with it. It’s a great idea to use the cards! Laura, I fell in love with your writing via the line you put up for the Moo contest over at Writer Unboxed. After this tutorial on plotting, I’m a fan for life! Liz, Holy cow! You made my day! What a wonderful comment to find first thing in the morning. Now I don’t feel quite so guilty about not writing! Thank you so much. 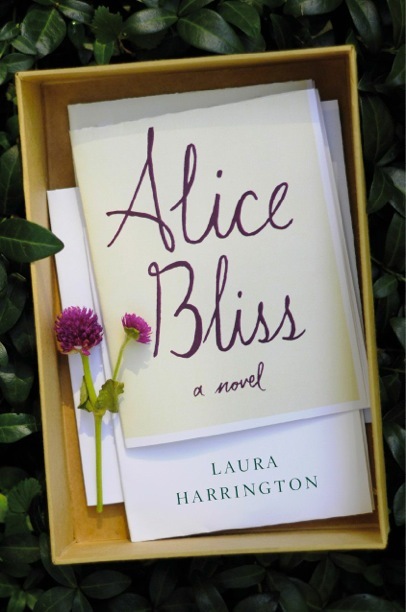 Laura, I just ordered Alice Bliss and can’t wait to read it! Thank you for this post -sooo helpful and detailed and much appreciated!! Thanks so much for ordering Alice Bliss. Please let me know what you think. Wonderful to get your feedback that the detail in the post was helpful. Always trying to balance detail and length. Thank you! Thanks for a very helpful article! I’m just about to revise, so this will help. I’ve heard the software called ‘Scrivener’ is good for doing the index card thing, but on computer screen so you can easily change things and move the scenes around, so i think I’ll try that.